Boat rental of Bavaria Sailboat in Alimos, Greece - Book Today! 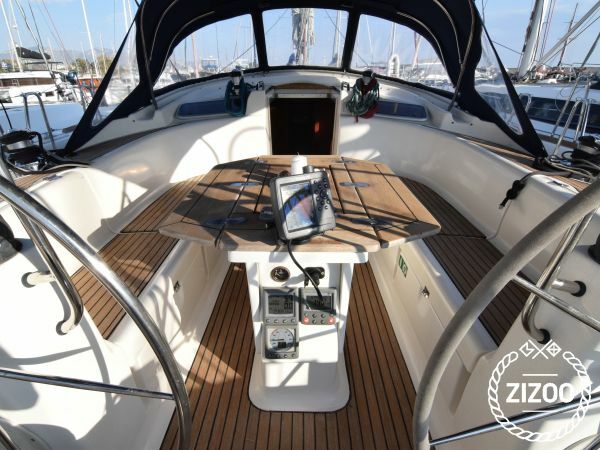 The Bavaria 50 is for many years one of the best booked yachts in Greece. Built in 2007 and very well maintained Efkrasia is an elegant and seaworthy yacht. Her internal layout allows comfortable accommodation for 10 guests in her 5 cabins which is ideal for all your family members and friends. This yacht is very well equipped with a really big genoa that can give you really good speeds in lite winds. The bow thruster makes the yacht easy to manoeuvre even in the most difficult places. Set sail with this remarkable yacht and enjoy the limitless beauty of the Greek islands.